Repair of rock/stone chips in windshield. Interior detailing will add more years to the usable life of a vehicle and also command a higher resale value when it is time to sell. Why not enjoy the benefits of a clean and fresh interior today. Repair and paint strip molding. Repair of a single side mirror. *Please note that vehicles with dark paint (i.e. Black) will need additional sanding/buffing. Typical turnaround time to do such work is one (1) day – weather permitting. 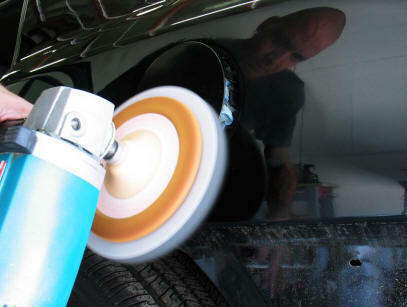 Repair/buffing of minor paint scratches. Depending on the extent of runouts, structural damage/cracks/chips/pit holes and finish – it is often desirable to repair/refinish a wheel rather than purchasing a new one. In most cases this process will restore the clarity within an hour while adding a UV protector for long lasting protection. For more information please contact us on this new and valuable service. Moderate blend on a single panel of a bumper with surface damage only. Complete restoration on a light surface damage requiring sanding. 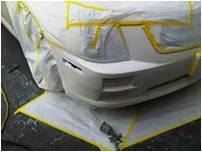 Complete restoration on minor body damage and/or two toned bumpers, three stage pearl colors, and tears in plastic bumpers, etc. Complete restoration of a dented bumper. 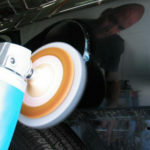 Paintless Dent Removal (PDR) is the preferred method of repair by car dealerships, collision centers, rental agencies, and insurance companies for minor dents, dings, and hail damage. INTERIOR MAGIC® offers complete interior reconditioning and more – including stain removal, repair and dyeing of leather, vinyl and plastic, odor removal, carpet protection and a lot more. 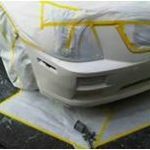 An affordable alternative to body shops for minor collision repair and paint damage. 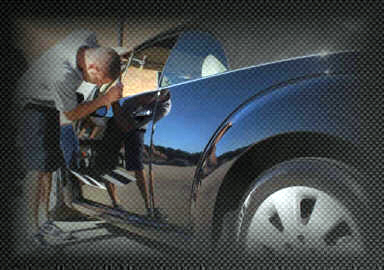 Full detailing services for our corporate accounts. With more than 30 employees we offer interior and exterior services that follow a comprehensive checklist to deliver a quality and consistent product. 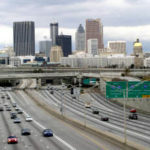 We know that convenience is important to our customers, we have teamed up with several Metro Atlanta dealerships to offer our quality dent removal services. Please visit our dent removal partner locations for more information.